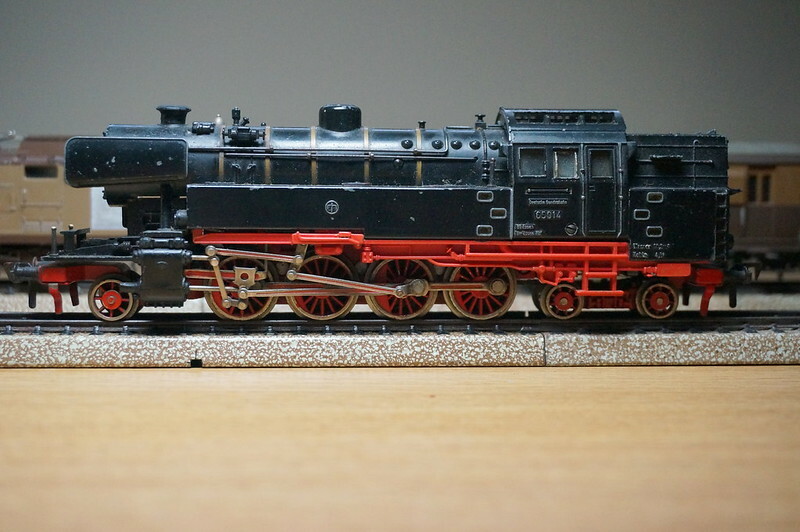 marklin-users.net community | Forum » General topics » Prototype » Steam tank loco BR65 018. The BR65 018 will be last fire and run tomorrow. It cost lot of money to run. The BR65 will be home at SSN depot. What is a SSN depot, please? Also the Insider model art. #39650 has the number BR 65 012. Where did you find a BR 65 018? Insider model art. #39650 has the number BR 65 012. Where did you find a BR 65 018? The 65 012 was delivery to DB in May 1951 and withdrawn from service in february 1968, Scrapped March 1970. The 65 018 was delivery in March 1956 and withdrawn from service in 4 December 1973. 1975 DDM - German Steam Locomotive Museum, Neuenmarkt-Wirsberg. 14 October 1981 to present - SSN - Stoom Stichting Nederland, Rotterdam. Source from >Dampflok 65 records< German. I hope Marklin production another BR065 with running number 65 018 as MHI or special in 2019 new items or in the future. Thanks, did not know I have to understand Dutch in an English communitiy too. The 65018 is the last one 65 build, and the only one still existing. She needs a revision now. Parts of the 65 018 machine will be used by the SSN for getting locomotive DB 23 023 back on track. See the blogspot , partly in English ans German. In 2014 i made a short movie of the 65018. Fleischmann did make a model of the 65 018, in DC and AC. I have an old Fleischmann 65 014 in DC and I would like to find the AC version. Does anyone know the Fleischmann model number for the AC version? Did not find an article number. but a detailed description for a conversion from DC to AC at Stummis community. Even it is in German I sent the link here, because it contains nice pictures from the loco too. perhaps the explotion drawing may help you more. and Weinert offers the pieces to update your loco to a reversal loco as the Märklin modell. The Fleischmann 65018 in AC has FLEISCHMANN number 1165. A very beautiful loc. Analog but very well to digitize.